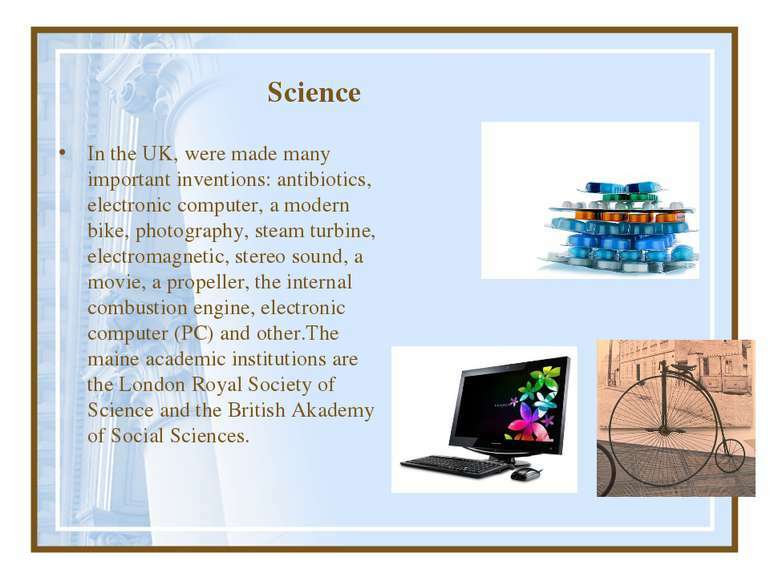 Science In the UK, were made many important inventions: antibiotics, electronic computer, a modern bike, photography, steam turbine, electromagnetic, stereo sound, a movie, a propeller, the internal combustion engine, electronic computer (PC) and other.The maine academic institutions are the London Royal Society of Science and the British Akademy of Social Sciences. 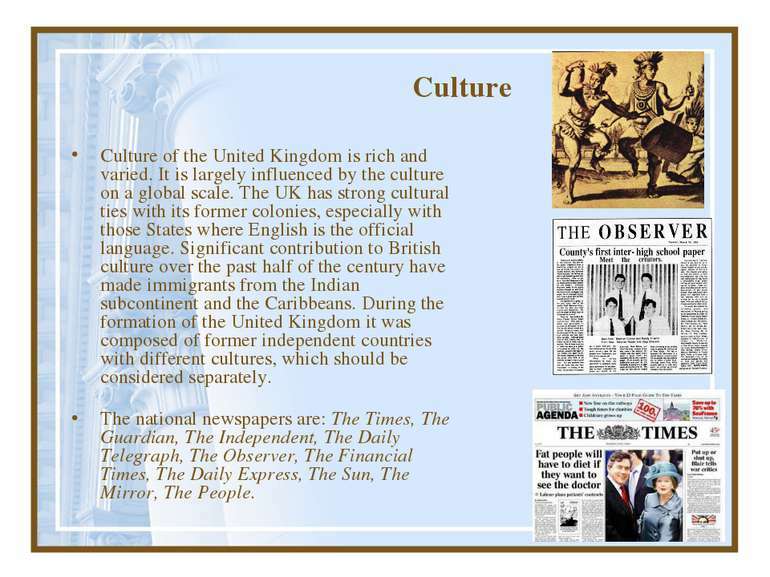 Culture Culture of the United Kingdom is rich and varied. 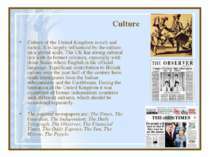 It is largely influenced by the culture on a global scale. 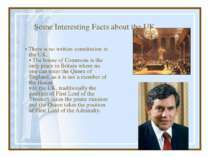 The UK has strong cultural ties with its former colonies, especially with those States where English is the official language. Significant contribution to British culture over the past half of the century have made immigrants from the Indian subcontinent and the Caribbeans. 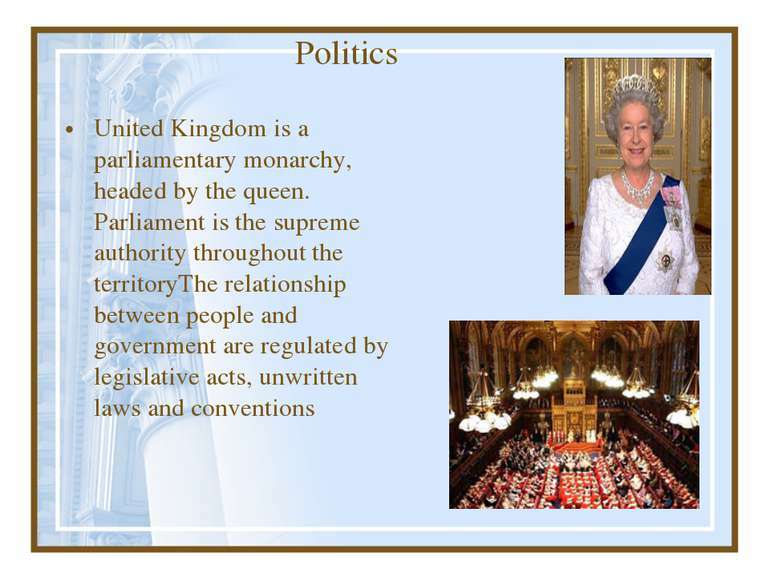 During the formation of the United Kingdom it was composed of former independent countries with different cultures, which should be considered separately. The national newspapers are: The Times, The Guardian, The Independent, The Daily Telegraph, The Observer, The Financial Times, The Daily Express, The Sun, The Mirror, The People. 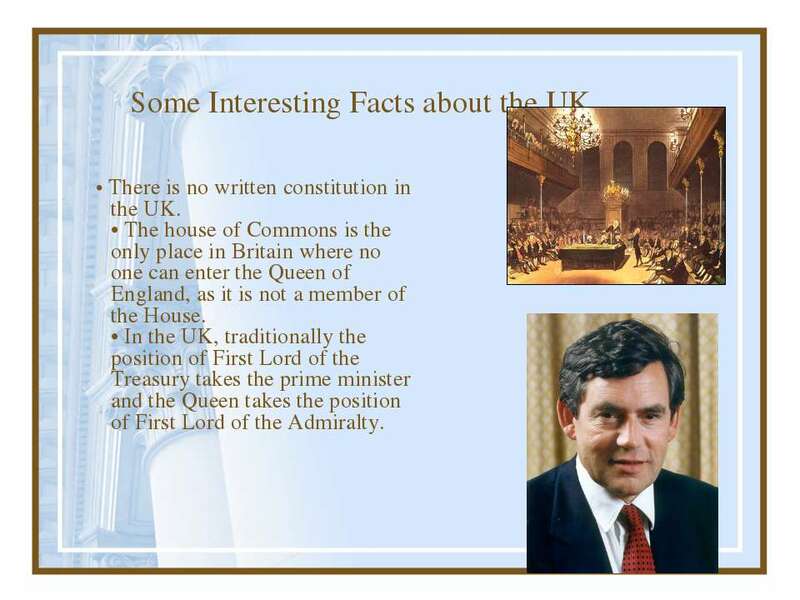 Some Interesting Facts about the UK • There is no written constitution in the UK. • The house of Commons is the only place in Britain where no one can enter the Queen of England, as it is not a member of the House. • In the UK, traditionally the position of First Lord of the Treasury takes the prime minister and the Queen takes the position of First Lord of the Admiralty. 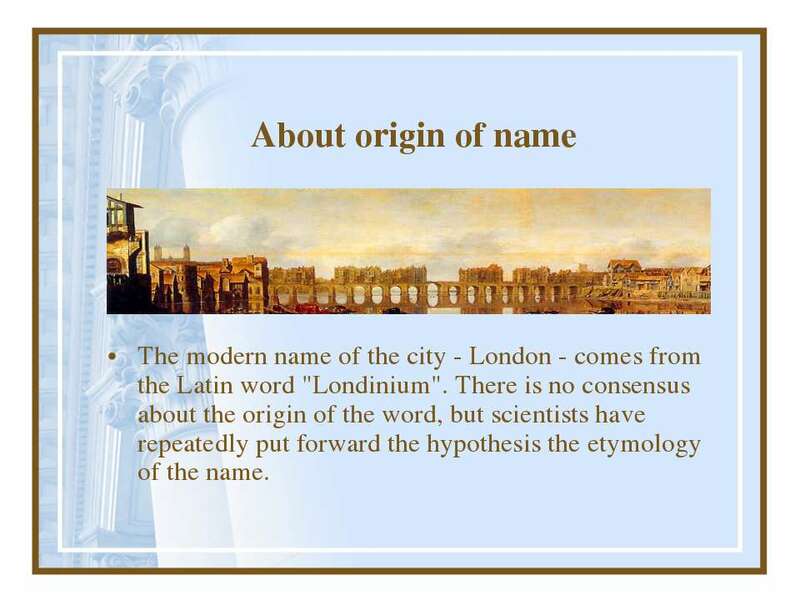 About origin of name The modern name of the city - London - comes from the Latin word "Londinium". 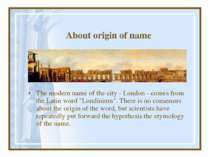 There is no consensus about the origin of the word, but scientists have repeatedly put forward the hypothesis the etymology of the name. Transportation Buses are used for the local trevelling. 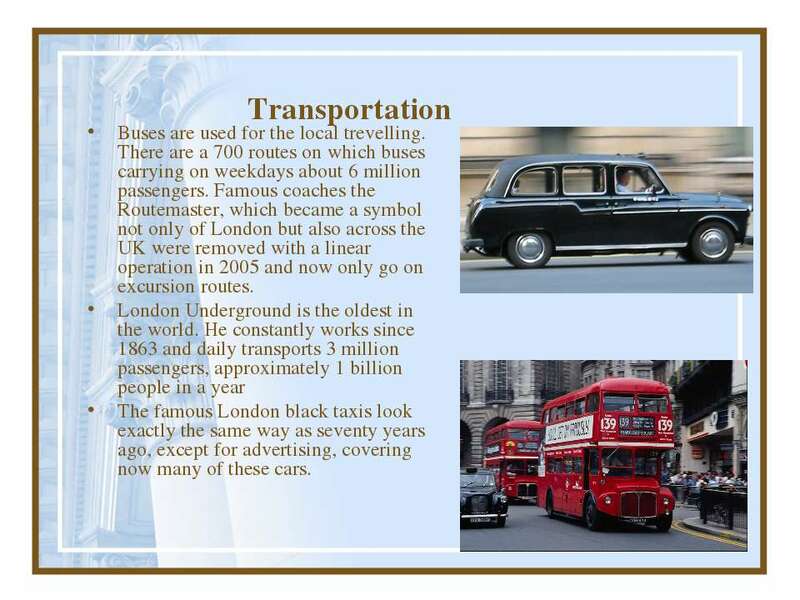 There are a 700 routes on which buses carrying on weekdays about 6 million passengers. Famous coaches the Routemaster, which became a symbol not only of London but also across the UK were removed with a linear operation in 2005 and now only go on excursion routes. London Underground is the oldest in the world. 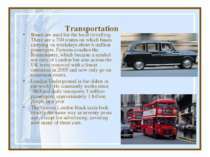 He constantly works since 1863 and daily transports 3 million passengers, approximately 1 billion people in a year The famous London black taxis look exactly the same way as seventy years ago, except for advertising, covering now many of these cars. 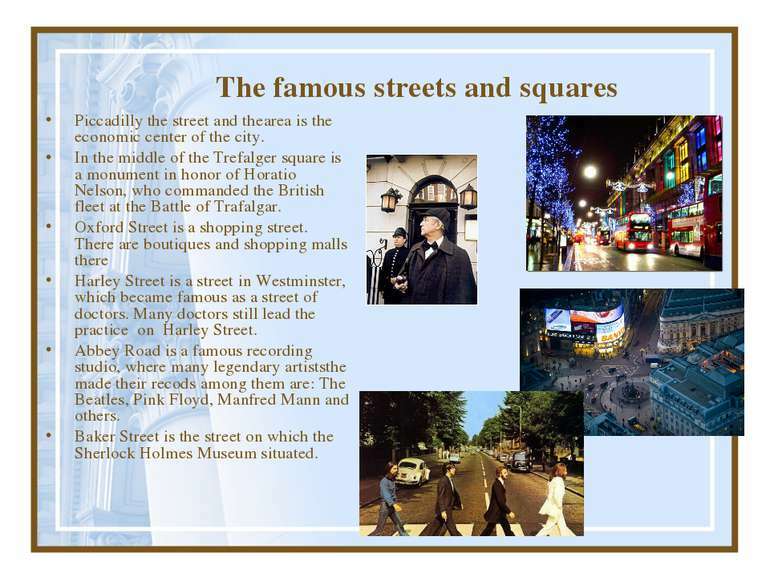 The famous streets and squares Piccadilly the street and thearea is the economic center of the city. In the middle of the Trefalger square is a monument in honor of Horatio Nelson, who commanded the British fleet at the Battle of Trafalgar. Oxford Street is a shopping street. 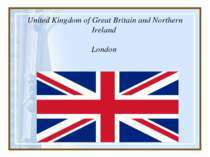 There are boutiques and shopping malls there Harley Street is a street in Westminster, which became famous as a street of doctors. 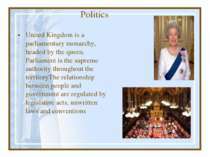 Many doctors still lead the practice on Harley Street. 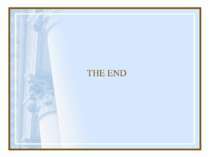 Abbey Road is a famous recording studio, where many legendary artiststhe made their recods among them are: The Beatles, Pink Floyd, Manfred Mann and others. Baker Street is the street on which the Sherlock Holmes Museum situated. 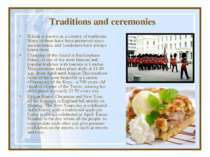 Traditions and ceremonies Britain is known as a country of traditions. 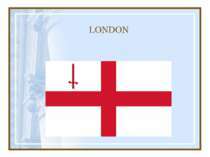 Many of them have been preserved since ancient times, and Londoners have always honor them. Changing of the Guard at Buckingham Palace, is one of the most famous and popular tradition with tourists in London. 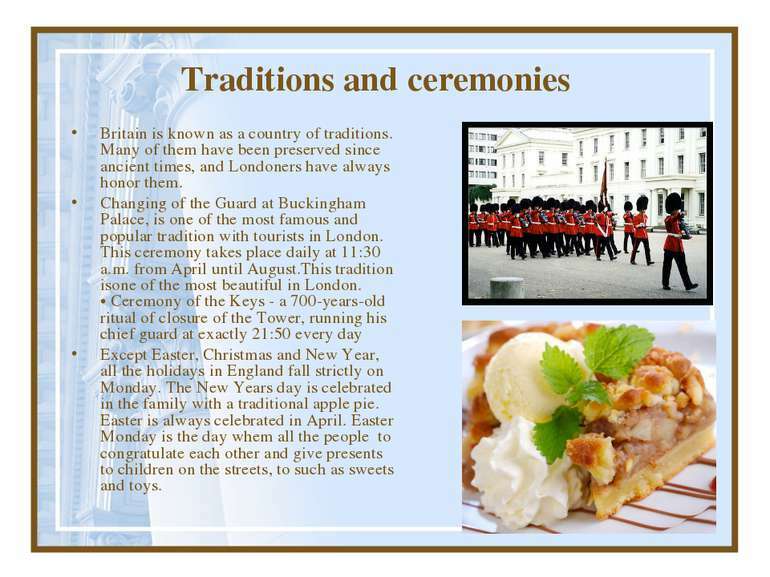 This ceremony takes place daily at 11:30 a.m. from April until August.This tradition isone of the most beautiful in London. 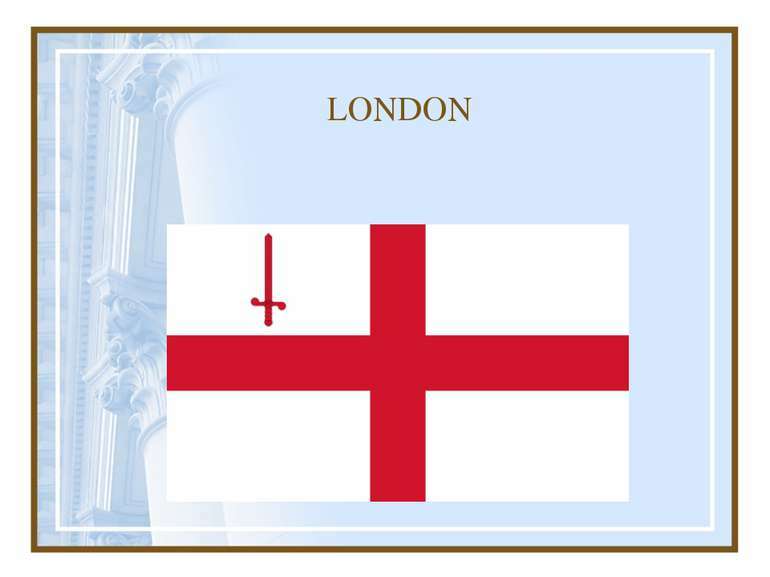 • Ceremony of the Keys - a 700-years-old ritual of closure of the Tower, running his chief guard at exactly 21:50 every day Except Easter, Christmas and New Year, all the holidays in England fall strictly on Monday. The New Years day is celebrated in the family with a traditional apple pie. Easter is always celebrated in April. 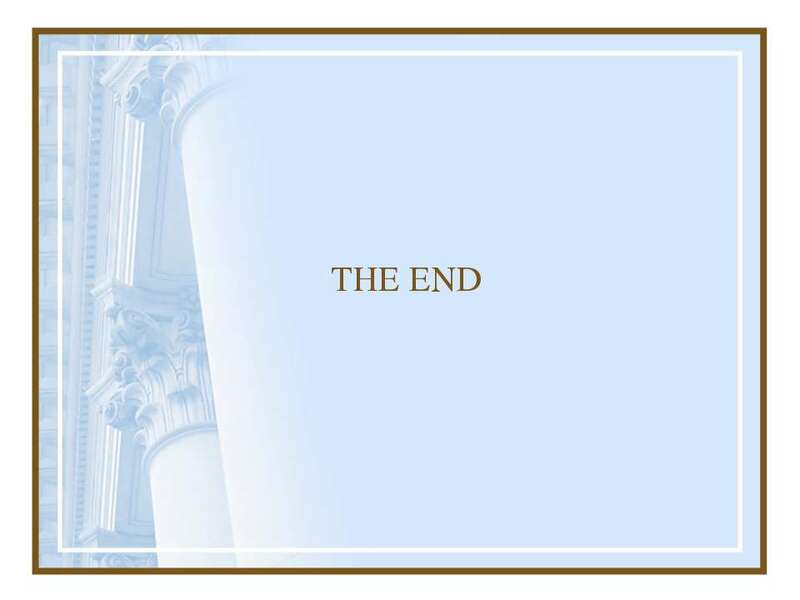 Easter Monday is the day whem all the people to congratulate each other and give presents to children on the streets, to such as sweets and toys. 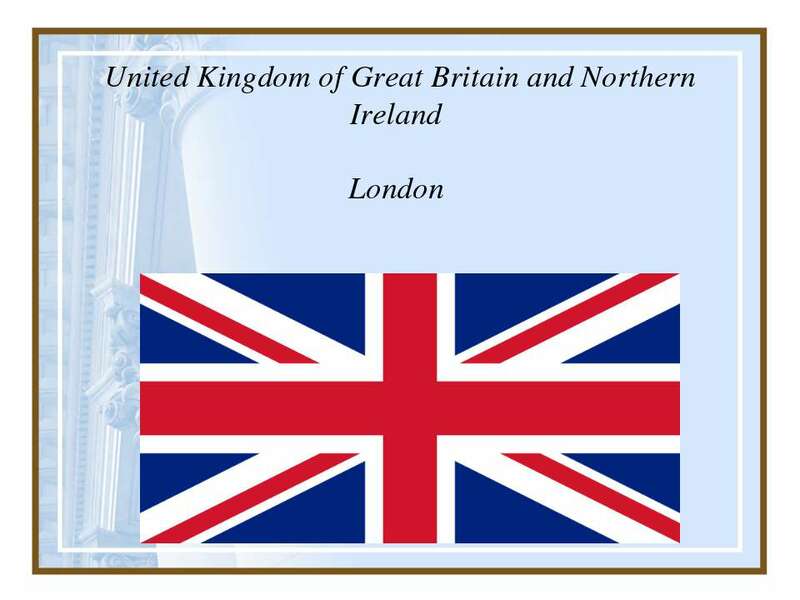 "Parliament of the United Kingdom of Great Britain and Northern Ireland"
"United Kingdom of Great Britain"
"United Kingdom of Great Britain and Northern Ireland"
"The United Kingdom of Great Britain and Northern Ireland"